HOUSTON (KTRK) -- Authorities are searching for an unidentified man who robbed a northeast Houston bank Thursday afternoon. At approximately 3:15pm, the suspect entered the First Convenience Bank, located at 14710 Woodforest Boulevard. Once inside, he handed the teller a note demanding money. The teller handed the suspect an undisclosed amount of money, according to investigators. The suspect is described as a Hispanic male, late 20's, close to 6-feet tall, slim build and was wearing a black hat, black t-shirt and blue jeans. Anyone with information is asked to contact Crime Stoppers or the FBI Houston field office at (713) 693-5000. 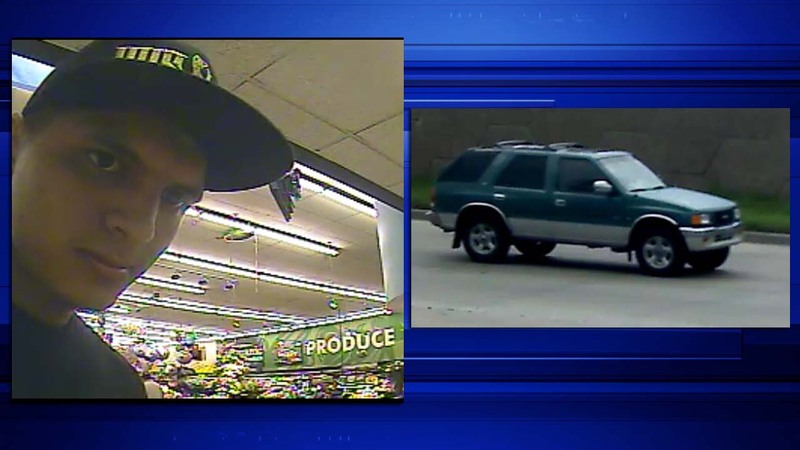 Crime Stoppers of Houston is offering up to $5,000 reward for information leading to an arrest.